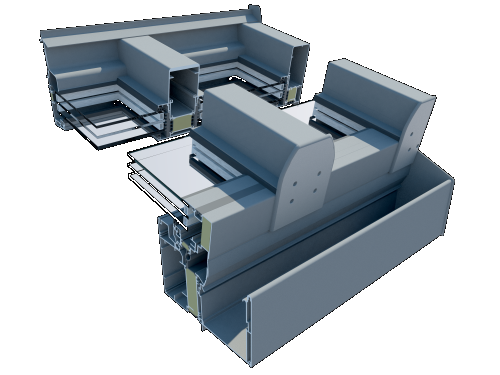 A thermally insulated system, used to design canopy roofs of garden rooms, mainly single and double-pitched roofs. The system features thermal performance ~2.0 W/m2K. 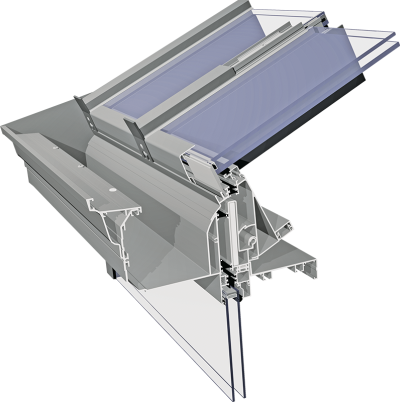 The system is characterised: roof plane pitch 5-45 degres, load-bearing element of the structure located inside (below the infill), anchors fixed to a depth of 105 or 125 mm, the system offers articulated joints in the gutter and roof ridge beams, engineered ties, gutter and discharge chute connectors. Application: roofing of winter gardens. Our company offers aluminum profiles from TS Aluminum, which enable the construction of roofs for winter gardens, terrace roofings, etc. The company TS Polska Sp. z o.o. has been present on the Polish market since 1999 as a subsidiary of the German aluminum systems manufacturer TS Aluminum Profilsysteme GmbH. The sales office and profile warehouse is located in Radom and the sale takes place all over Poland through the network of window manufacturers cooperating with TS Poland. TS Aluminum solutions include over 100 solutions for typical roof shapes. You can also do unusual solutions designed by the architect. The main advantage of the system is its compatibility with systems for the production of window frames. The window manufacturer does not have to enter the next window system to create windows in the winter garden. The roof is made in the TS system, and the side elements are made of PVC or aluminum in the system in which it is made. The offer also includes ventilation and lighting elements, non-insulated systems for roofing terraces, canopies above the entrance, as well as aluminum profiles and accessories for the production of folding and sliding doors.